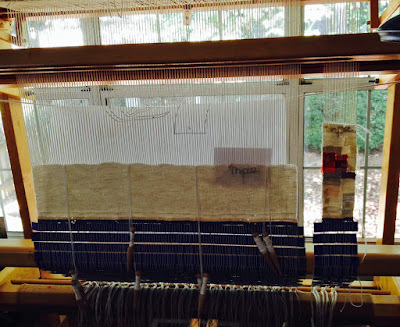 There's a newsletter I subscribe to, Textile Artist, that posts interviews with fiber artists. 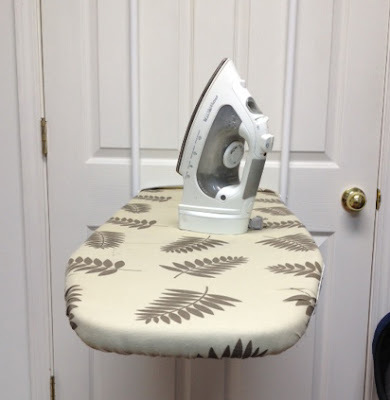 One of the questions they regularly ask is What tools can't you live without? 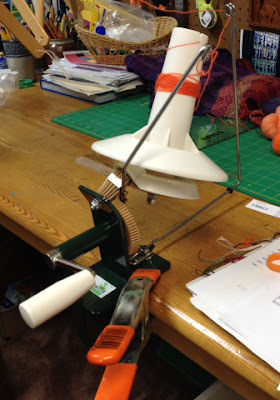 I was thinking about this recently when I unpacked and used my new ball winder. It's my newest favorite tool. into manageable balls. 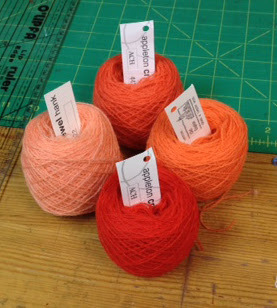 Don't ask me how I know, but you really don't want to try to pull lengths of yarn directly off a hank without winding it into balls first. (My apologies for the cluttered background of this photo. See last week's post about my studio.) With this one, by Stanwood Needlecraft, the yarn no longer gets trapped in the gears. I love it! The balls are also called "cakes," which is a more accurate description, as they sit flat and don't roll all over the place. 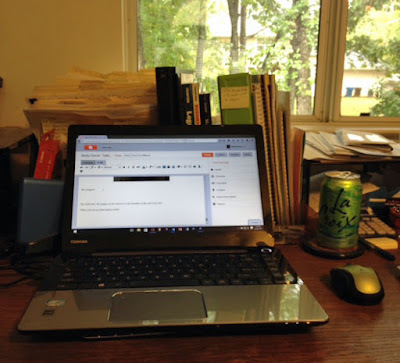 You can see my Ott Lite shining bright "sunlight" on my work--another indispensable tool. 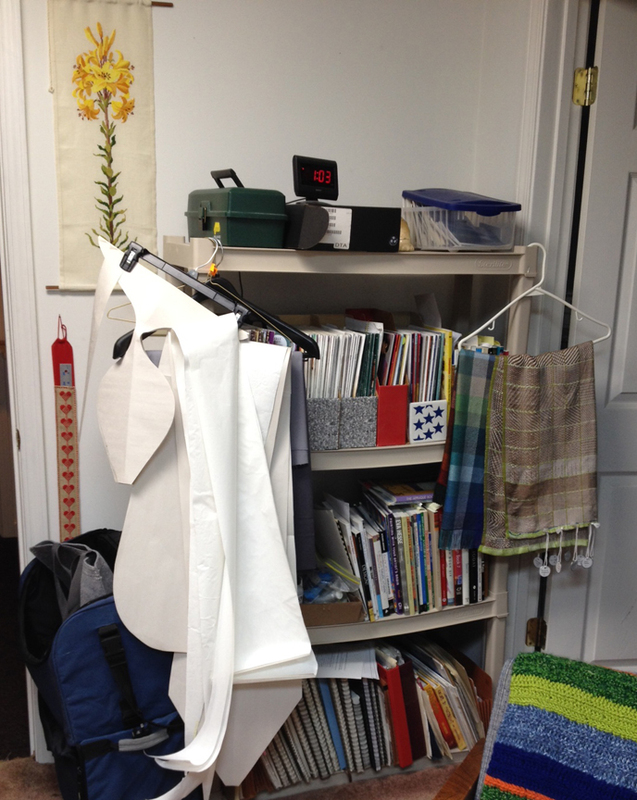 My iron and ironing board that folds away on the back of my studio door--what a space saver! And of course my computer that allows me to communicate with you! And to handle all those tasks on the business side of art--inventory, bookkeeping, marketing, purchasing. . . .
And finally, my corkscrew--to open the wine that eases out the soreness in my shoulders at the end of the day! Which tools do you find indispensable? If you're the creative type you have probably daydreamed at least a little bit about your perfect studio. 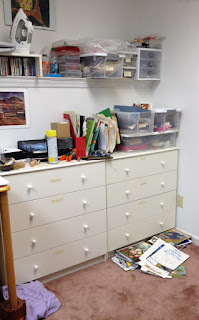 Lots of open space, high ceilings, huge walls for pinning up work in progress and inspirations, acres of worktables, large windows (north-facing, of course), a comfy couch for a nap, lots of shelving for supplies, neatly labeled bins . . . . ah, wouldn't it be grand? In fact, there's a whole industry out there devoted to selling you on the mystique of the Perfect Studio. Of course the messge here is, If you had the Perfect Studio, you could make Great Art. The right space is a magical super-highway to brilliant creativity. Conversely, if you have to make do with, say, a corner of the kitchen or space in the basement, then you're going to be hopelessly constrained and never make anything good. Well, with all due respect . . . bullhockey! Of course, having your own space is good, and more space is better. It's great to be able to put your materials out and leave them there until the next time you can get to work. No doubt. 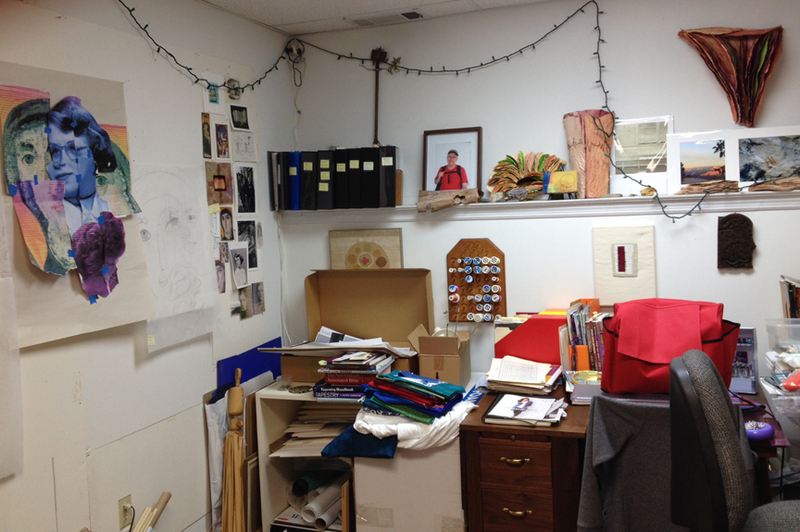 And I know artists who swear by renting studio space separate from their homes. 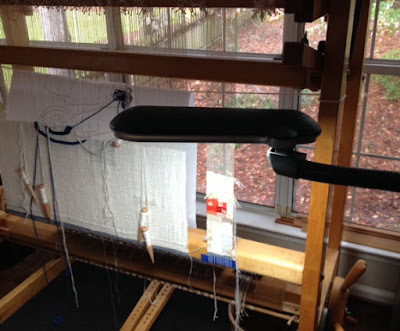 Going to the studio, like going to the office, helps them get into a working frame of mind and stay there, undistracted by the chores, comforts and people at home. But my studio has always been in my home. 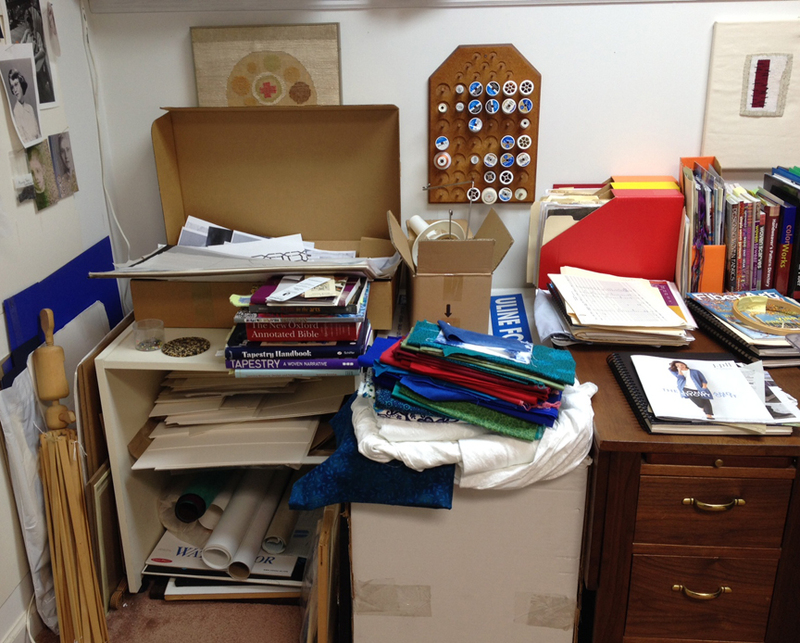 In fact, for about seven years I did all my work on the dining room table. 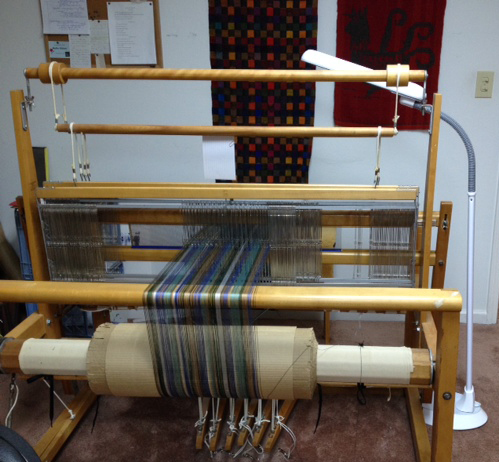 I made full-sized bed quilts and a number of smaller pieces there. 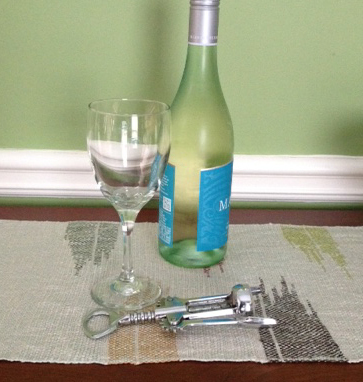 When we had people over for dinner, I put everything away. It worked fine. Later my fiber professor told me she knew a professional painter whose studio was for decades a corner of the dining room. And for years a talented jewelry artist I know turned out stunning work in a dungeon-like basement space, under the stairs, lit by a bare bulb. 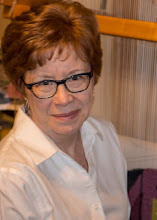 She made gorgeous pieces that sold as fast as she could make them. 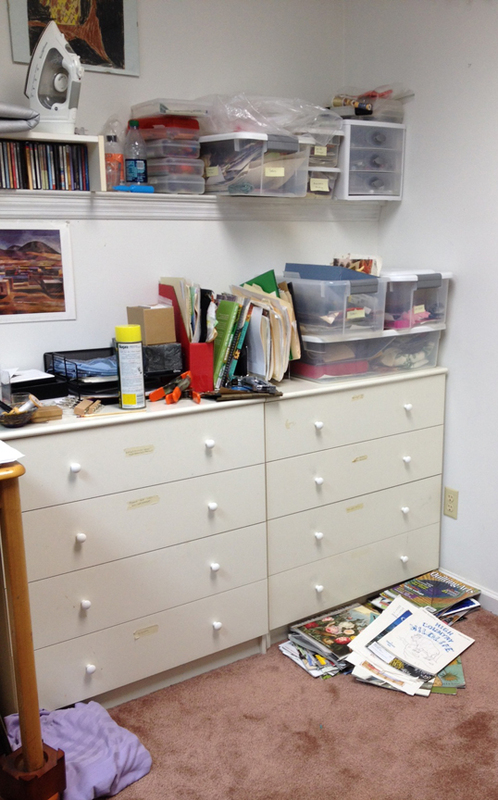 So: beautiful work does not require a beautiful studio space. 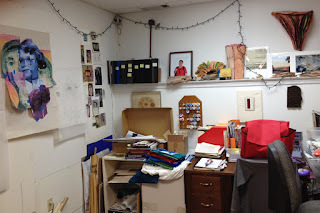 For the past 20 years I've been fortunate to have a dedicated studio space, a room of my own with a design wall, some storage, work tables, and room for my equipment. It's been wonderful. 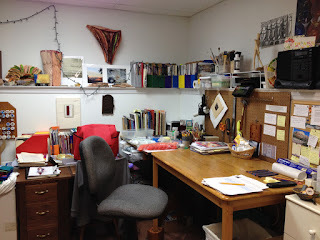 But my studio hardly resembles the fantasies one might see on Pinterest or in magazines. For one thing, it's a room without windows, about 10' x 10'. No room for a couch. One smallish worktable, placed on bed risers to reach the right height. And I have storage, sure! On shelves. . .
on a re-purposed computer desk, a cardboard box, the sewing table. . .
in dressers, in clear plastic bins, on the floor. . . . I haven't included photos of the odds and ends of space I've commandeered in closets (storage for supplies and finished work), other rooms (looms), and my office where all the business stuff happens. No matter how much space you have, you always want more. If you've been putting off pursuing your desire to make stuff until you have more room and more time--don't wait any longer! Even a small space and a little time here, a little there, adds up. Make the room, find the time, get going! Use even the smallest blocks of time. Try to find at least 20 minutes every day to sketch, stitch, note down an idea or try something out. I discovered "the rule of one hour" when I was making bed-sized quilts and hand-quilting them. 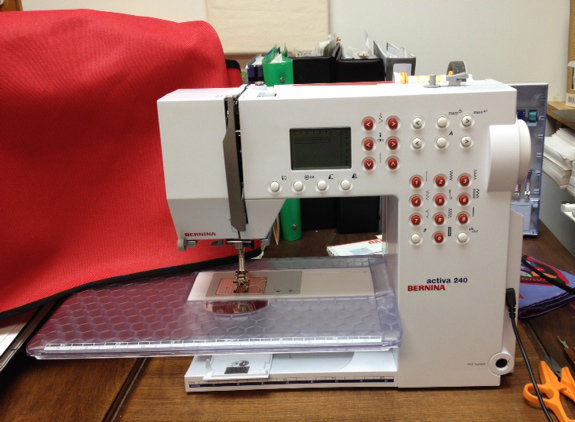 If I could stitch for just one hour a day, eventually the quilt would be finished. Even 15-20 minutes a day, if that's all you have, can be productive. In fact, I can really get down to business if I know that's all the time I have! Tell your inner critic to get lost until the piece you’re working on is finished. It is artistic abuse to judge it in any harsh way while it’s still in process. On the other hand, do listen to the small still voice of the piece itself telling you what it needs. Be willing to let go of cherished preconceived ideas or materials if they don’t seem to be working (“kill your darlings” as writers say). Keep it fun! If it’s not fun, try some other way of working, some other art form or medium or size or process. 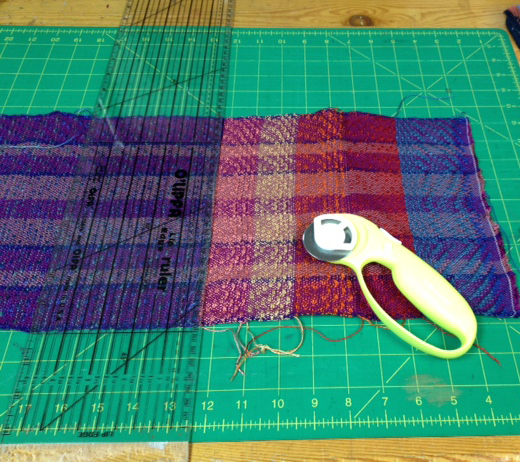 Try cutting up your piece and reassembling it! 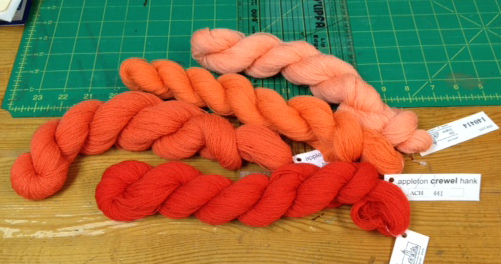 If you are working with materials or processes that are new to you, make samples. Do a model or a rough draft of a representative part of your piece before you do the full-scale version. Use the exact same materials and techniques you plan to use in the real piece in order to get the most accurate information from your sample. You may need to do several samples before you feel sure of where you’re going. The knowledge, confidence and peace of mind you gain by sampling is priceless! Save your samples—they will become a valuable reference library for you. I have drawers full. On the other hand, be careful not to work an idea to death before you start the real piece. Save room for spontaneity and creative decisions as you work, to keep it fresh and loose. 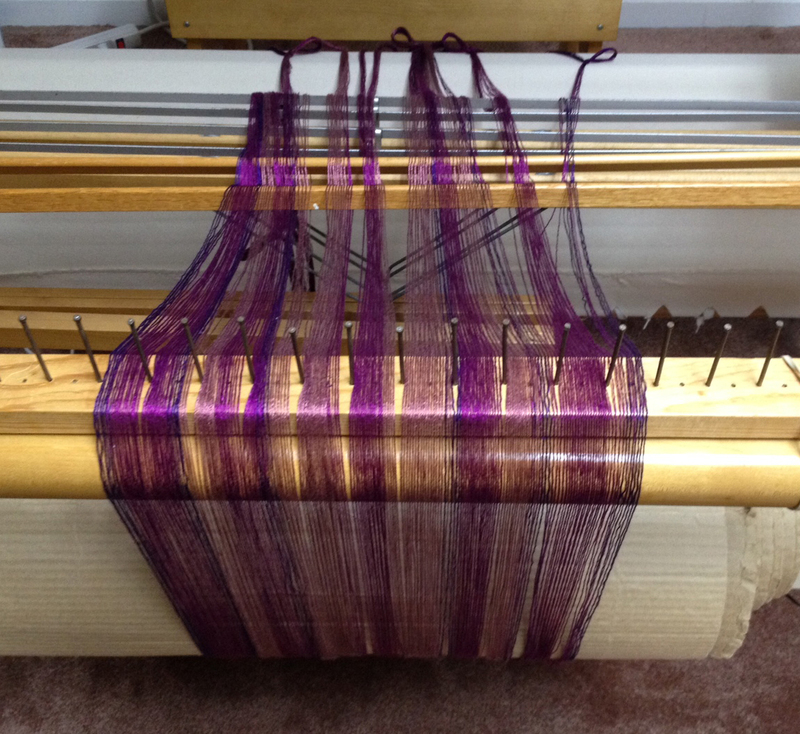 I wound and beamed this warp for scarves yesterday but I'm not sure yet which weave structure or weft colors I'll use. I have lots more to share on this topic. In the Atlanta area, I'm offering Design Kickstarters here and Design Intensive here in the next six weeks. Would love to see you in class! 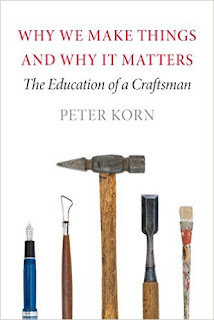 Book Report, Part 2: "Why We Make Things and Why It Matters"
Last week I shared my enthusiasm for Peter Korn's book Why We Make Things and Why It Matters: The Education of a Craftsman. I quoted him on the creative impulse and the joys of making things with our hands. There is so much wisdom and insight in Korn's book that I want to spend some time this week considering what he has to say about the challenges of the creative life. [T]he desire to work alone and apart is self-defeating. There simply isn't enough time in a week to put in sufficient billable hours at the bench and still do all the other work that a successful business requires--maintenance, purchasing, bookkeeping, marketing, customer relations, and so forth. Furthermore, working in isolation doesn't foster the substantial engagement with community it takes to cultivate a local market for custom-made furniture. . . . Success was also limited by intrinsic properties of the material with which I was working, which was my own self [emphasis added]. I was, among other things, not well suited to marketing my work, perhaps because it felt too much like self-promotion, perhaps because it entailed so much rejection. Many of us who are solo makers struggle with this. We are told we need to spend at least 50% of our working hours on marketing and business tasks in order to be financially successful. 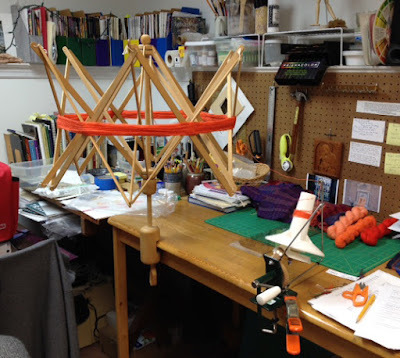 When your medium is an inherently slow one, like woodworking or weaving, this can seem an impossible goal. You won't have enough work to market in the first place if you don't spend more than 50% of your working time actually making things! And while we may feel confident (most of the time) about our artistic skills, many of us are untrained and out of our depth on the business side. Peter Korn has an interesting take on the old dilemma of how much to "sell out" one's personal artistic vision in order to make work that responds to popular tastes. He says this tension is a "healthy phenomenon" that imposes "the discipline of relevance" on the artist. 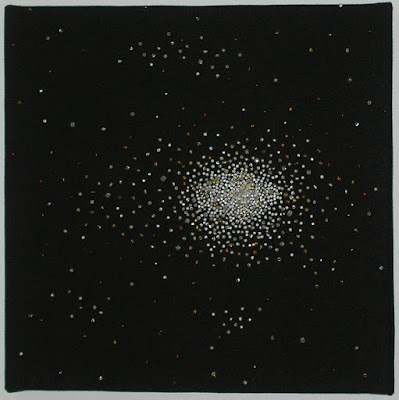 Korn says while the market is not perfect, and doubtless great artistic work is ignored every day, "commerce is our most effective mass-distribution system for the material expression of ideas." When I first began to offer handwovens for sale, I quickly learned that simply following my own whims as a weaver, my own color preferences, pursuing my own bliss at the loom, would not necessarily result in work with a place in the market. I have to keep firmly in mind what other people can wear, can use, and are willing to pay for. I weave with a lot of neutral colors because they are versatile and "go with everything." I actually enjoy finding the sweet spot where my own creative inspiration intersects with what my clients want to buy and wear. It is good to work within limits. It is a given that, individually and collectively, we think our world into being. The question is: How do we choose to go about it? Do we passively assemble our narratives from a cultural smorgasbord? Or do we test the recipes of others in our own kitchens? Do we take responsibility for some small portion of the world as we create it? My experience is that steering a proactive course--making the effort to think for myself--has been the wellspring of a good life. . . . Newest tapestry in progress--my initials mpe are the only imagery woven so far. Book Report: "Why We Make Things and Why It Matters"
At the start of the summer I shared with you the stack of reading I hoped to do. I actually have managed to finish most of the books, but the one that has made the biggest impression on me is Peter Korn's Why We Make Things and Why It Matters: The Education of a Craftsman. Korn is a woodworker who hoped to make a living from designing and constructing one-off pieces of finely crafted furniture. After a time, he found that he would have to supplement his income with teaching, as many artists and artisans do. He discovered he loved teaching and loved working in a school community, and eventually he founded the non-profit Center for Furniture Craftsmanship in Rockport, Maine, where he is Executive Director. [W]e practice contemporary craft as a process of self-transformation . . . . The simple truth is that people who engage in creative practice go into the studio first and foremost because they expect to emerge from the other end of the creative gauntlet as different people. [D]esign is a skill like any other. As with sharpening a chisel or handling a drawknife, anyone can improve through education, practice, and reflection. To be sure, some individuals are more innately gifted at design than others. . . But there is no reason why the rest of us should not also enjoy the trials and rewards of creative engagement with reasonable success and genuine pleasure, and perhaps an occasional flash of serendipitous brilliance. I discovered within myself the capacity to transform a wisp of thought into an enduring, beautiful object. I see this same empowering revelation take place in my students today as they perform the miracle of creation. This, I would suggest, is precisely what makes creative practice such a generous source of fulfillment, beyond the pleasure of engaging heart, head and hand in unison. It exercises one's innate capacity to re-form the given world in ways that matter. 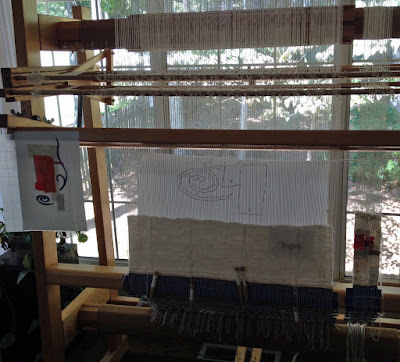 I recall vividly the joy I felt when it slowly dawned on me that making textile art draws on everything I have and know--from my liberal arts education to my spirituality to the basic sewing skills I learned as a kid in 4-H. When we work with our hands to make something that exists in the physical world, we are participating in the larger mystery of creation. Powerful stuff! And if that work connects somehow with someone else, well, it doesn't get any better than that. If you are an artist or craftsperson who regularly makes things, you know what Peter Korn is talking about. If you're not--why not try your hand?